I met Shelby and Zeb last fall when they came in for a consultation to talk about their wedding flowers. They were a lot of fun and I really enjoyed our meeting. I was so excited when I got a text from Shelby a few weeks later saying she wanted me to do the flowers! Shelby knew exactly what she wanted and what she liked and that happened to be SUNFLOWERS! I love taking the Bride’s vision and ideas and bringing them to life! Their wedding & reception took place at the beautiful 701 Whaley and was photographed by Clark Berry Photography. The videography was done by Absolute Wedding Films and the lighting was done by Big Time Entertainment. The beautiful cake and cupcakes were made by Vicki at Vintage Bakery. Shelby and Zeb are a special couple! I am happy to know them and thrilled that we got to be a part of their big day! 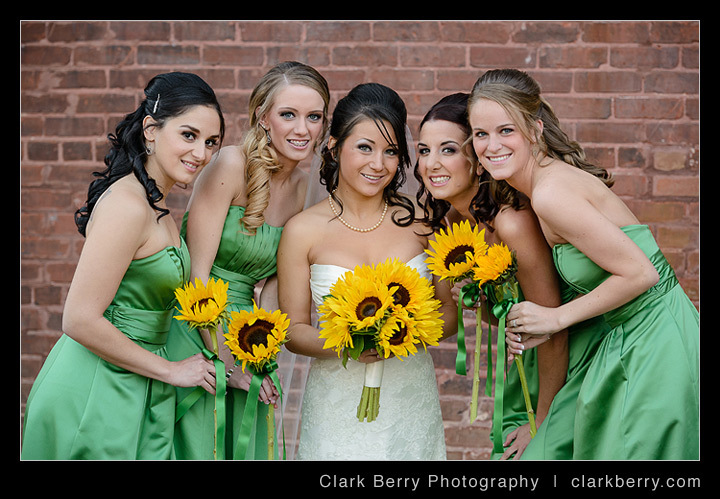 Take a look at some of the beautiful images that Clark and Becki captured! This entry was posted in Real Weddings and tagged 701 Whaley, Absolute Wedding Films, Big Time Entertainment, Clark Berry Photography, Columbia SC Weddings, South Carolina Wedding Florist, Vintage Bakery, Wedding Flowers, Weddings by Jennifer. Bookmark the permalink.